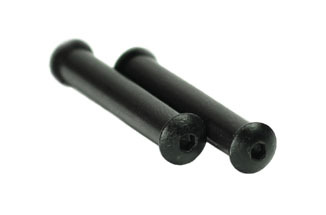 JP Oversize Anti-Walk Pins are the icing on the cake for a refined fire control system. Removing all the slop between the trigger, hammer, pins and the receiver results in that extra bit of enhancement to get the maximum performance potential out of high-grade trigger parts. Available in .156 for small pin receivers, these tool steel trigger/hammer pins are black oxided for corrosion resistance and retained by custom buttonhead stainless retainer screws with thread locker on both ends. What Our Customers Think "As usual, JP Rifles is the best"
"All I can say is thanks."